Whether you’re looking for Harvey’s gift cards or Bass Pro Shops gift cards, NGC Canada is the perfect one-stop shop for your Canadian gift card needs. 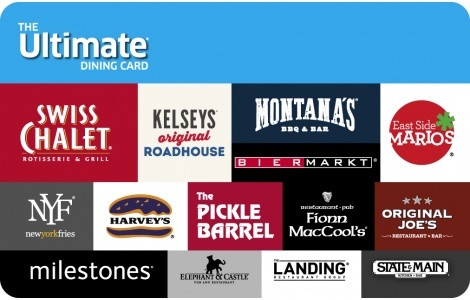 From dining to retail and beyond, our extensive collection of popular brands makes getting bulk gift cards easy. With the NGC gift card fulfillment program, you don’t have to stress out over preparing a bulk gift card package or a corporate gift card program any longer. Not only does NGC Canada offer a wide selection of premium Canadian brands like Swiss Chalet and Loblaws, but you can also choose from a variety of international brands like Gap, Pottery Barn, Sears, and more. In addition to NGC’s assortment of gift card brands, we also make the entire process simple. You don’t have to worry about fulfillment. We take care of all of that for you. We bet that the most difficult part of this process will be choosing which bulk gift cards to include in your program—and that’s not a bad problem to have. Interested in purchasing Canadian gift cards in bulk? Don’t hesitate to contact the friendly NGC Canada team at (888) 472-8747. You can also contact us online!